Dreamcatchers handmade in Bali Indonesia by Balinese craftsmen. Made of suede, beads and feather. These dreamcatchers available in small size to use as car hanging Dreamcatchers or key chains. We also make bigger Dreamcatchers to use as hanging decoration for your room, house or patio. Available in very bright colors red, yellow, green or purple. Dreamcatchers with various shapes including star, moon heart or even man with flute. Bamboo Chimes Factory Bali Indonesia. 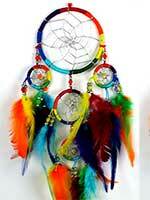 We can make many kind of Dreamcatchers, not only Dreamcatchers as shown here. We have many more. 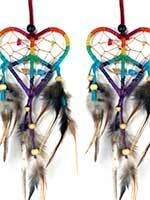 Please contact us if you need to order these Dreamcatchers in bulk quantity. We're direct company in Bali Indonesia, you could get from us competitive price and wide range of models for Dreamcatchers. Below is photos of our production facility for Native American crafts including Dreamcatchers. 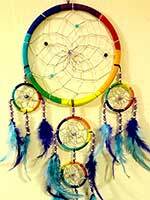 Dreamcatchers Wholesale Only Factory Direct Bali Indonesia. Dreamcatchers wholesale only. We're factory and wholesaler. 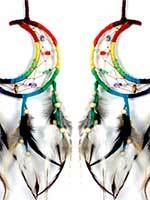 We export our native American crafts products in bulk quantity. 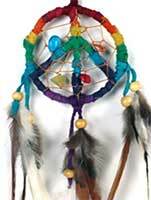 We distribute our dreamcatchers to other countries through distributors and wholesalers. Please remember that we have a minimum of US$ 1,000 per shipment of MIX products. 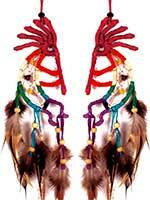 You can't buy just few pieces of our dreamcatchers or other native American Indian handicrafts. Email us for info about wholesalers near you if you need to buy our products retail.